Some concerts are able to capture your entire imagination just for a second, some for a long time. To kick off Sound City 2017, The Human League captured ours indefinitely. First up, where A Certain Ratio. Walking out to a very empty looking crowd, with the size of the site. 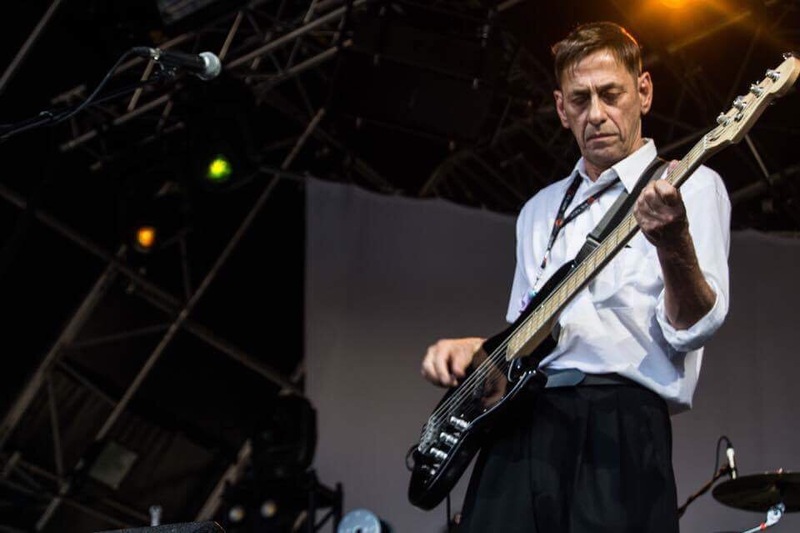 It could be enough to put any band off, A Certain Ratio however dealt with it with style. They walked out onto the stage and played their unique avant-funk sounds to officially open Sound City 2017. They played a fantastic half an hour set to fantastically warm up the crowd for the next special guests Art Of Noise. Following some sounds by DJ Andy Carroll, we’re treated with the live reboot of the great Art of Noise. 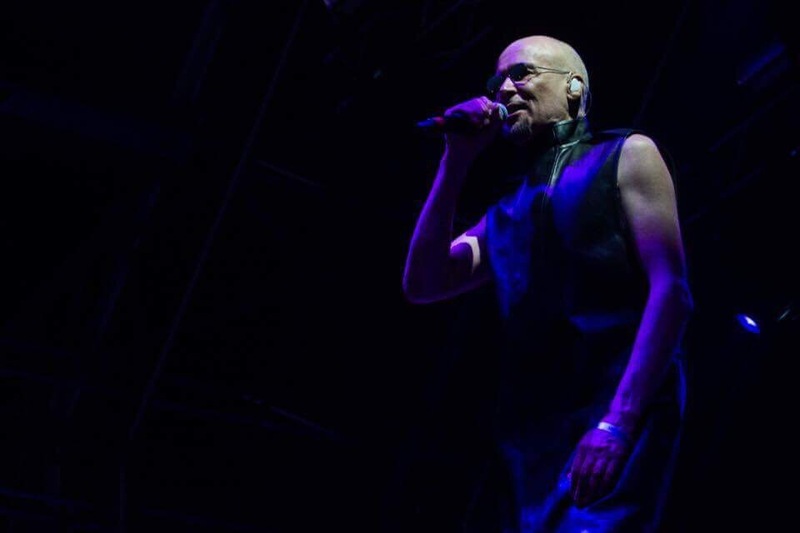 Held up with a whole new theme featuring sound bites of often-incoherent President Donald Trump and intoducting their songs with recorded radio intros, Art of Noise provided a set that not only aesthetically pleased the older crowd but helped introduce them to newer ground. 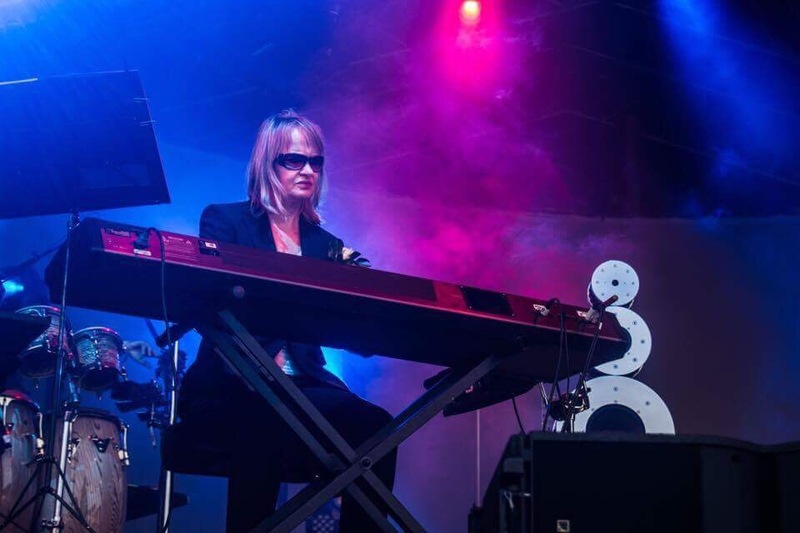 It’d be almost 25 years since Art of Noise preformed together live as the band (and not that shoddy reformation), the trio seemed geared up from the moment they walked on stage, ready to showcase their legendary brand of instrumental avant-garde synth-pop. The band’s little stage presence feels more inclined their with “art before faces” front during their formative years, while Langan throws out items and says hello often, the rest of the act seem committed to their quiet approach. Their performance was lush from it’s start, albeit opening with slight sound issues, Art of Noise provided a fully-functional reboot that radiantly portrayed In Visible Silence and simply proved that they still matter 32 years after the band’s formation. Afterwards, a 45 minute interval took place as attendees walked the new Sound City location. The new location on Clarence Docks is simply wonderful, with a charm like no other festival. Meanwhile on the main stage, DJ Andy Carroll was still spinning songs, from Kraftwerk hits to odd droppings of Gary Glitter. The music stopped as a Manchester attendee stepped on stage to recite a powerful speech following Monday’s horrific Manchester terror attacks. It was courageous and spoke loudly. The main part of the speech included the fact that everybody came out despite of fear to dance the night away. The tight, brotherly relationship between our two cities shined bright as thousands paid respect with a moment of silence. Apart from one drunk dickhead who yelled during and was thrown out, greatly on Sound City‘s part. Few minutes later, the lights come down as The Human League quickly come to stage with their opening number of “Love Action”. Their set-up is stunning, their usual added stage on top allows frontman Phil Oakley to run wild as he proceeded to do for an hour and a half. The set list is different from their last tour, more varied. The band decided to play hints of certain albums tonight, “Heart Like A Wheel”, “Sounds of the Crowd” and the likes of “Seconds” certainly showcase the attraction of The Human League. Almost every song is recognised and beloved, it’s not hard to notice why The Human League were the possibly the finest of the synth-pop scene in the 80s. “The Lebanon” and “Mirror Man” undeniably provide the star-power of the audience, loving every moment, they sing along to the movements of the band. It also still shows how great of a live act Oakley & co. are, defiantly not going without a fight in their older age and still able to provide fun at a moment’s notice. Ahead of myself was a dance circle filled with everyone looking for fun, dancing with people they don’t know over music they love. It’s scenes like this that make music lovable for me, and in the face of recent events, makes hopeful that love will always triumph over hate. Oakley introduces the band’s penultimate number, “(Keep Feeling) Fascination” which brings a dance party instantly. Everybody sung along in unison, a magical sight at the Sound City site. Oakley leaves, with the crowd still begging for more and more of their hit’s, the band opens up their biggest single “Don’t You Want Me?” to the audience and they eat it all up, singing the entire opening verse and first chorus before Oakley returns to do it justice. It’s sublime. That moment in time, that band and that opening to Sound City will forever stick with many. They leave once again and they return for their well-earned encore double offering. Firstly with their debut single, the colder “Being Boiled” which is a striking song in antithesis to the rest of their hit driven danceable set. Not leaving the crowd with a reason to on-any-level feel shorted, as if they could anyhow, the final song of the night is the appearance of Oakley‘s collaboration with the legendary Georgio Moroder, “Together in Electric Dreams” which ends the night in beautiful fashion. Words by Jack Cinnamond and James Ainsworth (A Certain Ratio), with photography by James Ainsworth.